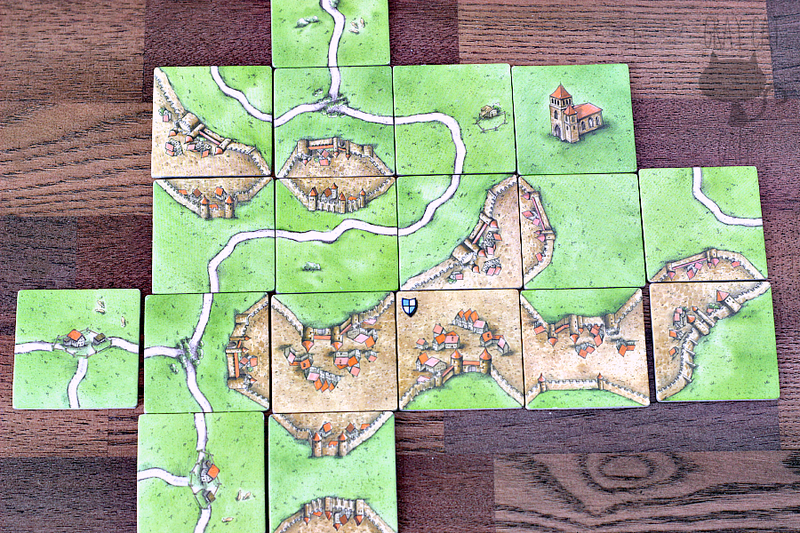 Carcassonne is a modern classic euro game with easy-to-learn rules and beautiful aesthetics. 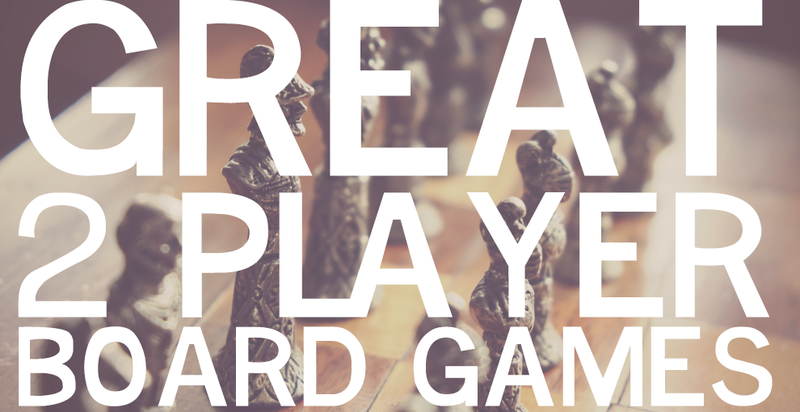 It’s a great two-player game if you want some cutthroat strategy, and it plays really well with 3-4, as well. One of my roommates in school was a big board gamer before designer board games really hit their stride. He had all kinds of games that are now touchstones of this era of awesome design: Pandemic, Zooloretto, Settlers of Catan, all kinds of stuff. One of the first games he wanted to introduce to me was in this ugly blue box, something called Carcassonne (kar-kuh-sone). Your task is to build this medieval French town with cities and churches and roads…and farms. It sounded awful, but he insisted that it was a fun game. Finally, he got me to try it out. 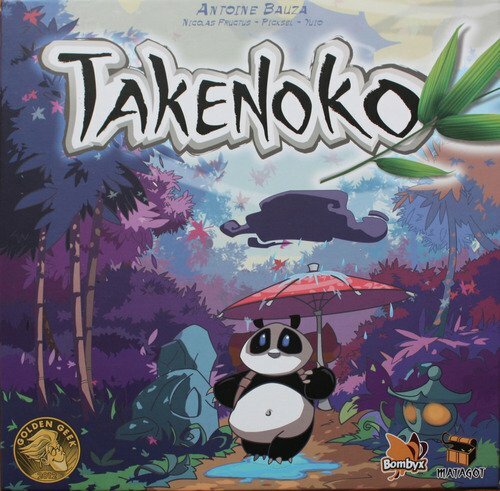 And that was my first taste of great board games. 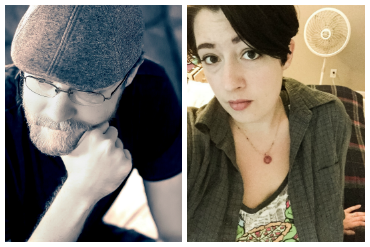 First impressions don’t often count for that much in board games, I’ve come to find. 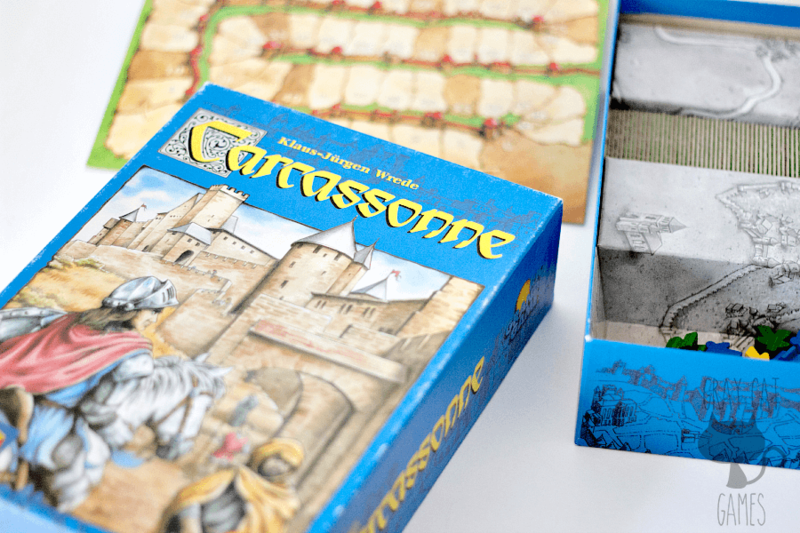 What makes Carcassonne so special? Carcassonne comes in a pretty standard box. It’s a bit thicker than you might expect, but it won’t take up any excessive space on your shelf. 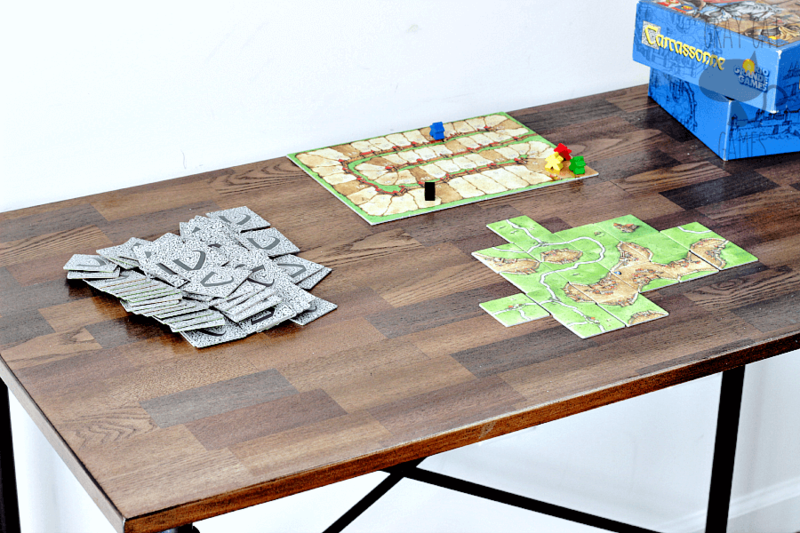 Carcassonne comes with an assortment and tiles and small wooden figures called meeples. So you could say there are quite a few pieces in the game, but it’s very manageable. We’ve never really risked losing any pieces or anything. 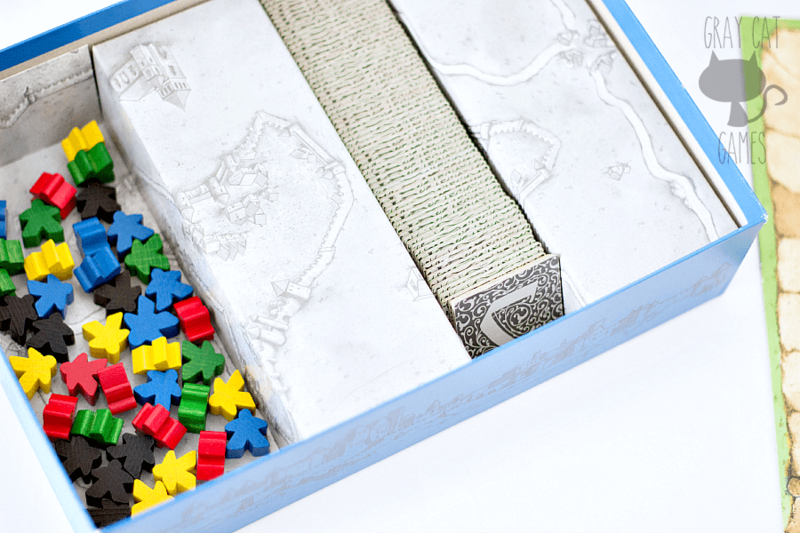 The box for Carcassonne comes with a nicely designed insert that has a space for all the tiles in the middle. On the side of the insert is another space for all the meeples. The board fits over everything very nicely. The tiles are thick and great to hold in your hand. 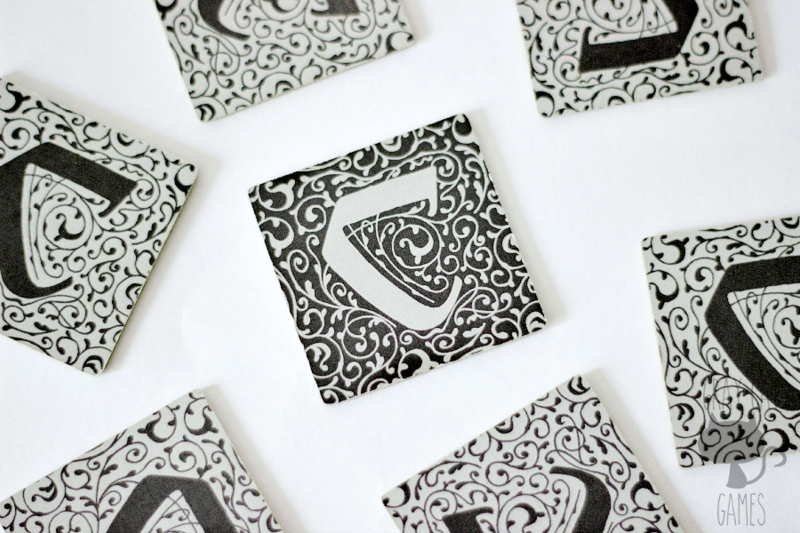 They’re made of good card stock, and we’ve never run into any durability issues with them. The art on these tiles conveys all the key aspects of the game and sets up the theme really nicely. You really feel like you’re building a medieval town in this game. The town might not make a lick of sense at the end, but you do feel like you’re building it! The meeples are awesome, too. It’s kind of easy to see why these pieces became iconic of board gaming itself in the past decade. They feel great to handle, and they’re fun to play around with while you’re waiting on your turn. In Carcassonne, you randomly select a tile to place on the board. You must place the tile next to a compatible edge of another piece already out. By compatible, I mean that the edge must continue the edge of the previous piece. So if you have a road, you must continue it. A road that suddenly stops for no reason is not allowed. Once you play a tile, you have the opportunity to claim something by placing a meeple. This is how you score points. 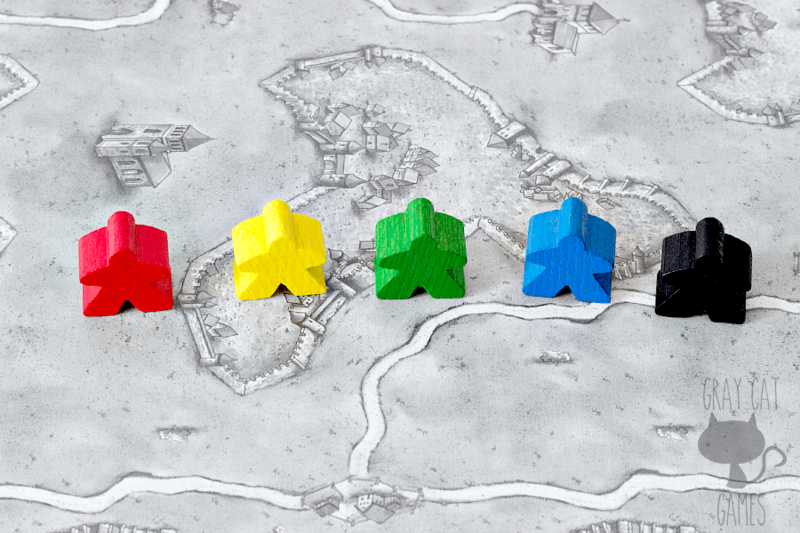 Meeples can be used to claim may different features, including cities, cloisters, roads, and farms. The only restriction is that you cannot claim something that someone else owns already. For the most part, points are scored for completing structures. For example, if you claimed a city and are able to completely close its walls in, you’ll get two points for each tile that the city occupies. Your score is tracked on a separate board. 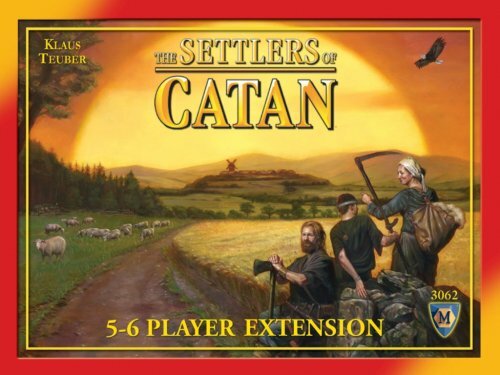 At the end of the game, players will get points for unfinished structures and for their farms. Whoever has the highest score wins! There is a fair amount of manipulation, considering you’re constantly laying down tiles in the game. The only part that slows things down is deciding where to place the tile. 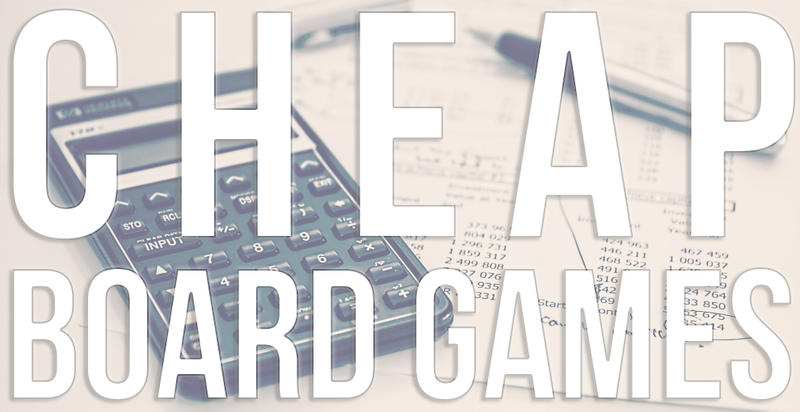 As the board expands, your options grow, so players will want to take time to figure out the best way to play their tiles. It’s not too much of a time sink, though. Scoring is very easy and requires very little math. Yes! Carcassonne is simple to play at first, but there’s also a lot of depth and strategy you can do to make sure you win. 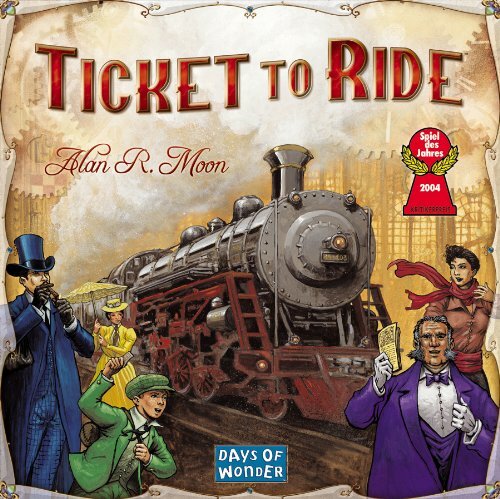 Despite its tranquil theme, the game can get pretty cutthroat, as you jockey for control over cities and farms. Especially farms! 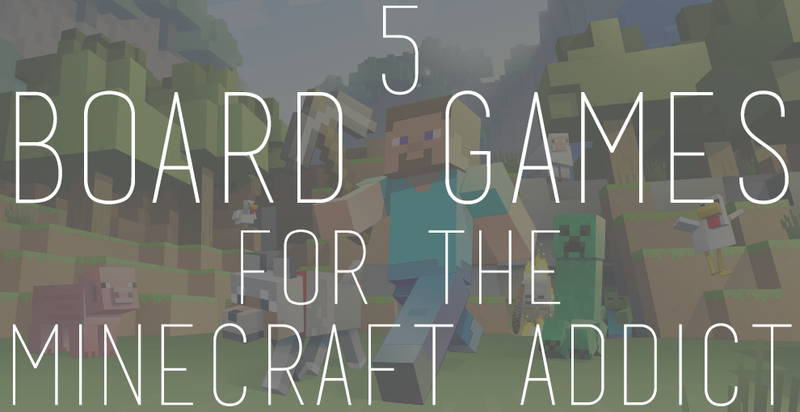 These can score you big points at the very end of the game and seal a victory. The downside is that you have to commit a meeple for most of the game, and that’s one less meeple you get to use to get other types of points. And the tricky part is that you might not even get what you worked hard for! I mentioned earlier that you can’t claim something that someone else owns, but you can always claim a separate structure and then play tiles to connect them together later. In that case, both players get the points, effectively making it a wash. So there can be a lot to manage. You want to score a bunch of points throughout the game, but if you overextend yourself and run out of meeples, you’ll find you can’t claim a key structure like a cloister. All the while, players can try and play tiles to make finishing cities and roads more difficult, tying up your precious meeples for a long time. It’s deep, but it’s also easy to learn! Carcassonne supports up to 5 players out of the gate. There is an expansion that can increase this to 6. By far I’ve played this the most with just 2 players. With more than that, you get an interesting dynamic where you might bargain with somebody for help and promise to help them out in some way later. 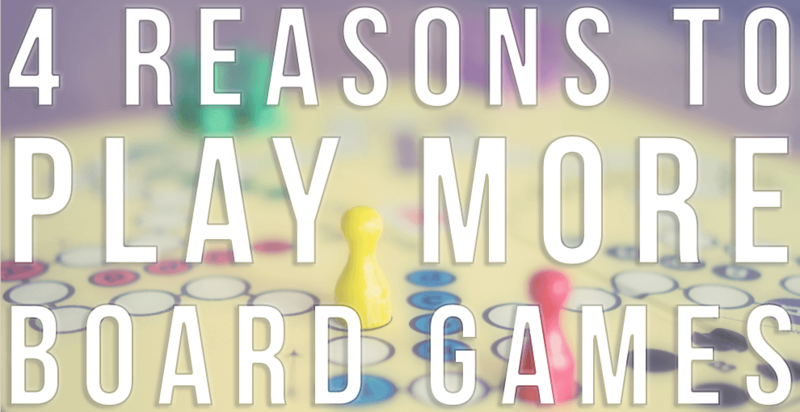 Mostly, though, you just get fewer turns, and the game becomes less strategic and more random. In my opinion, Carcassonne plays best with 2 or 3, but anything up to 4 players is also a lot of fun. I’ve owned Carcassonne for a long time, and I can’t remember ever turning down an opportunity to play. These days, I might not be the one to suggest it, but I’m never the player to say no. At about an hour of playtime, depending on how many people you have, I can play Carcassonne several times during the day. 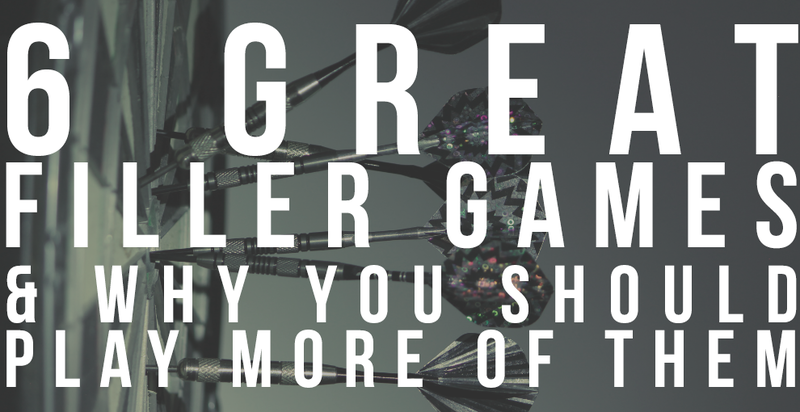 It’s a good medium-range time burner, and it’s a meaty, fun game to boot! We have the basic game with no expansions, and we got that quite a while ago. I don’t know how much it cost us at the time. 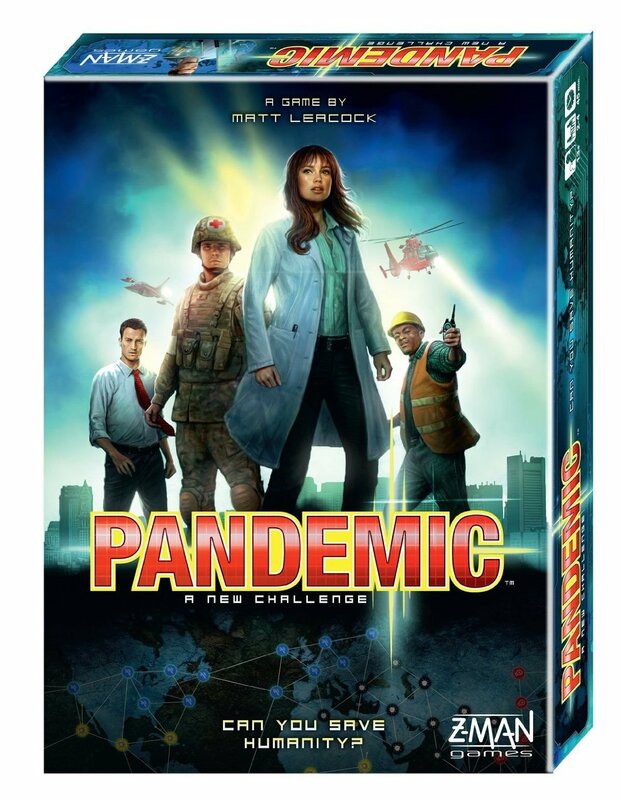 Nowadays, there’s a fancy-pants new edition of the game, which you can get on Amazon for $26. It’s the same game, with a few improvements to the art and some included expansion stuff that I’ve never played with. But Carcassonne’s expansions have all been good quality in my experience, so $26 for the base game and an expansion is a nice deal! Carcassonne looks so, so awful. The box gives a terrible first impression. The art on the back doesn’t convey how fun the game is. It looks dry; it looks like a heavy euro game. But we’ve introduced the game to all kinds of people who don’t normally get into board games, and it’s been really well received. For a long time, it was all either of our sisters ever wanted to play with us! Carcassonne is a game for everyone, I think. In my experience, there’s not really one play group that the game just clicked with the best. It has a good bit of randomness to help new players beat more experienced players, and everything is crisp, clean, and fresh. Most people have never played a game like it, and it’s a fantastic design. How much room does it need for game play? A good bit, actually. It has a bunch of tiles, so you need a place to put the ones that are upside down, as well as a place to put the ones you’ve drawn. Add the score card to that and it takes up more room than you would think. 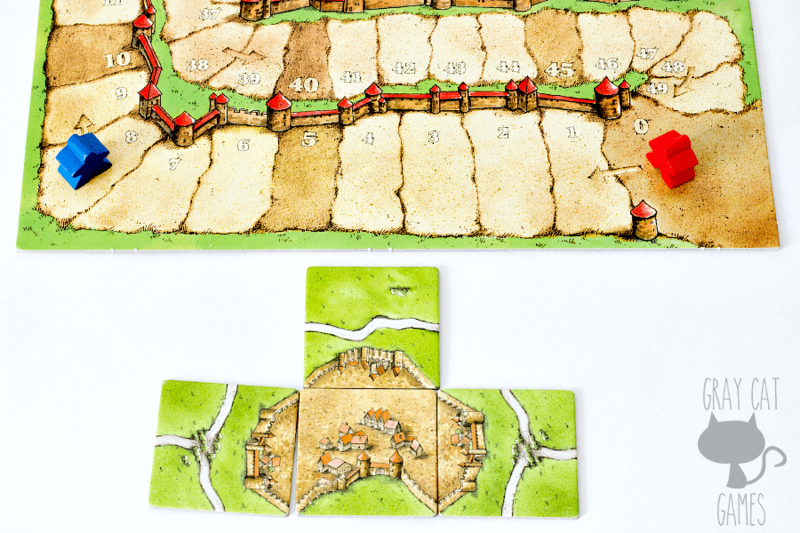 If you like Carcassonne, you might also enjoy…. There are so many board games I can’t keep up with them so thank you for reviewing and sharing with us at #AnythingGoes. We love Carcassone! We have a set with a few expansions at our house and my son and his wife have a set with all the expansions at his. We all play the iOS app game all the time now that we don’t all live in the same house. Chelsey plays the app version a good bit. 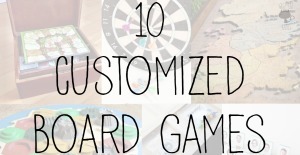 It’s one of a few games we’ve successfully introduced to a lot of our families, as well. Our sisters, in particular, really really enjoy Carcassonne. And if I understand you correctly, your son has the big box version. That makes me jealous!